Electronic City, also known as ECity, is one of the largest IT Hub in Bengaluru. This city was established by Keonics on 332 acres of land of Doddathogur and Konappana Agrahara in 1978. Now, the place houses more than 300 companies with an extensive workforce. Wipro, Infosys, Tech Mahindra, TCS, HCL are some of the significant IT campuses which you can find in this locality. The increased demand for IT gave rise to more residential areas in and around the city. Now the city has three different phases – Phase 1, Phase 2 and Phase 3. You can find Phase 1 in the western side (Electronic City West) of the Hosur road whereas Phase 2 on the opposite (Electronic City East). The four-lane elevated highway from Silk Board to Electronic City is the second longest elevated national highway in India. If you work in this area of Bengaluru or if you travel by this route on a regular basis, you might have seen the packed streets almost every day. Worry not, if you have ever planned to learn car driving in Electronic City. SharpDrives is here to help you in this aspect. We have a set of skilled instructors who will guide you throughout the course. The only motive of our team is to make you an expert driver who can drive safely in the streets of Bengaluru. We provide all the necessary training on car driving right from the beginning. SharpDrives helps you learn car driving in Electronic City with ease. Our only focus is to make you an expert driver and see you drive stress free on the busy streets of Bengaluru. We have a team of experts who provide all the essential training within your course period. You might have struggled to drive on the traffic-filled streets of Electronic City before but it will not be the case now! It is a promise from SharpDrives that you can drive confidently with a smile on your face by the end of your course. Book your session today to know the difference yourself. We offer car driving lessons in your own car at your own comfort. Hence you will be driving with perfection even after your course. Also, our team will guide you to drive in the challenging areas of the city. 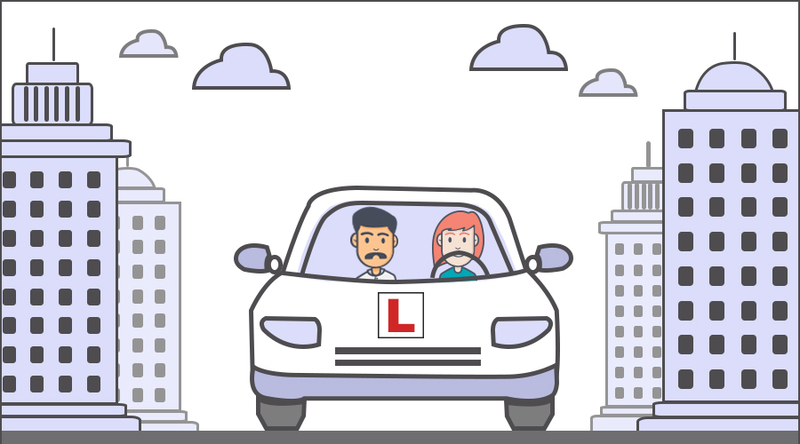 These lessons will help you drive safely in and around Electronic City like a professional and confident driver. Our courses come with an affordable price range that makes your every penny count. In case you have a shortage of time, you can opt for crash courses that cover all the necessary parts of car driving in a very less time. Hence you can save both your time and money by learning from Sharp Drives. Be it a beginner or a person who wants to level-up your driving skills in the traffic-filled areas of Electronic City; our instructors will offer the necessary training to help you become the best driver. Since the streets of Electronic City are often crowded with buses, car and bikes, Sharp Drive recommends you to take up the early morning classes that begin from 6 a.m. to 10 a.m. You can find only a few vehicles at this time and hence you can learn confidently at these hours. Our packages also include training on traffic-packed areas of the city. Thus, you can drive your car fearlessly in almost every corner of Electronic City. Since our classes will also remain open on weekends, you can opt for weekend courses if you are an office going person. The best time on weekends will be from 7 a.m. to 11 a.m. You can also modify these timings based on your convenience. We will always go by your schedule. Sharp Drives provides various solutions for driving through its training packages. We will make your driving journey enjoyable from now onwards.